Conducting an orchestra is something that is seen as well as heard, but it is quite misunderstood when it comes to knowing what this person actually does for a living. 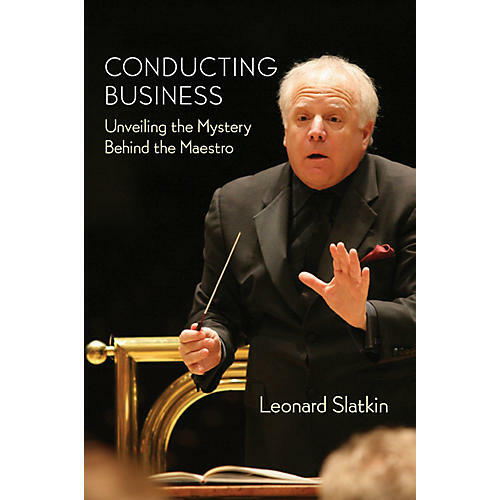 This most mysterious of jobs is brought to life for the music lover as well as for the aspiring maestro in a new book by Leonard Slatkin. Drawing on his own experiences on and off the podium, Slatkin brings us into the world of the baton. He tells tales of some of the most fascinating people in the musical world, including Frank Sinatra, Leonard Bernstein, and John Williams. He takes the reader to the great concert halls and orchestras, soundstages in Hollywood, and opera pits around the globe. Mr. Slatkin recounts his controversial appearance at the Metropolitan Opera, his creation and direction of summer music festivals, and a shattering concert experience that took place four days following 9/11. Life in the recording studio and on the road as well as health issues confronting the conductor provide an insider's glimpse into the private world of public figures. Covering everything from learning how to read music to standing in front of an orchestra for the first time, what to wear, and how to deal with the press, Conducting Business is a unique look at a unique profession. Conducting Business is a recipient of the 2013 ASCAP Deems Taylor Special Recognition Award.